MadPea: Mind-blowing 48 Hour Halloween Raffle! Creating interactive and immersive experiences in virtual worlds. Mind-blowing 48 Hour Halloween Raffle! 48 Hours of Hopping Halloween Fun! You should be digging through your inventory, scouring the grid, and camping out at lucky chairs for awesome Halloween costumes, Halloween colored clothes and Halloween themed decor! You DO NOT want to miss the pre-Halloween festivities at MadPea starting Saturday, October 26th at 10am SLT! 12 Hours of Music Over 48 Hours! Come dressed for Halloween in your favorite costumes or Halloween colors for live entertainment and music from an incredible lineup of DJ's! There is not a more perfect setting for a party like this than Death Row Island! 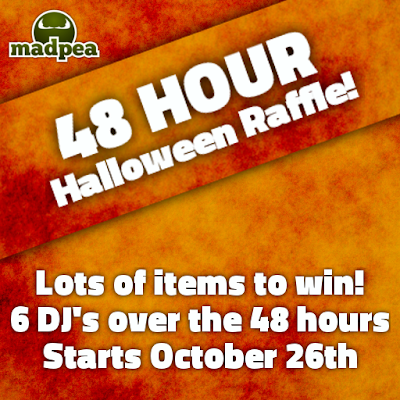 As if all this music and dancing was not enough, MadPea will also be having a raffle over the 48 hours! All items in the raffle will be Halloween themed and they are from a wide variety of vendors from across the grid. You will be able to buy as many tickets as you like for various prices on the items. Proceeds from the raffle will benefit Madpea Productions so we can keep bringing you the amazing games/hunts you have come to love! Join us at Death Row Island for the Weekend! Fantasy Faire 2013 begins today! Feed a Smile Star-Studded Celebrity Auction! The Room 326 Hunt: How to Start? The Enchanted Frost Hunt: How to Start? The Case of Praying Mary Hunt: How to Start? 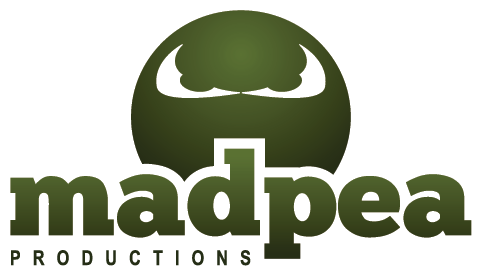 MadPea Productions. Awesome Inc. theme. Powered by Blogger.